The Electric car market is booming. With every passing year, consumers are becoming more conscious of being environmentally sustainable. Therefore, many are switching their traditional vehicles for fuel-efficient and environmentally friendly electric cars. In the UK alone, 178,000 registered electric cars are being used. Globally, 1.9 million plug-in electric cars were sold in 2017. While this value might not seem a lot, considering the vast market share of conventional vehicles, the fact remains that electric cars are making a dent in the automobile industry. And this impact is likely to increase in the future. Are you thinking, “Should I sell my car and get an electric vehicle instead?” Well, go ahead! It is an eco-friendly and budget-friendly decision. If you are planning on driving your electric car on a road trip, there are various things about the vehicle that you should know beforehand. Before you take your electric car on a road trip, you must first understand how your vehicle operates. There are different types of electric cars. Two popular kinds are the hybrid and completely electric vehicle. How you plan your road trip will depend on which type of electric vehicle you have. Hybrid cars operate both on diesel and rechargeable batteries. They make use of electric batteries for low speed and at the beginning of the journey. Once the battery runs out of charge, or you increase the speed of the vehicle, it automatically switches to its internal combustion system. When going on a road trip, you will have to plan according to the car you have. For instance, if you have a fully electric vehicle, you might have to plan your road trip around charging stations. Know that electric cars don’t have a high range. On an average, they can travel for 150 miles before requiring a recharge. The chances are your road trip is longer than this. Hence, you will be required to plan your route in a way that there are charging stations present. A problem that you might face is that charging stations are not quite common yet. If you have a hybrid car, you don’t have to worry about planning your route carefully. Just make sure there are some charging stations and gas stations along the way. You merely have to ensure that your vehicle doesn’t run out of fuel. If you are used to driving conventional cars on road trips, you should know that the driving experience of an electric car is starkly different from it. Well, for starters, electric automobiles are much quieter than diesel-powered cars. This is because these automobiles are devoid of various elements that are present in a regular car. This includes a tailpipe, clutch or gearbox. Therefore, you might as if your car is gliding on the road. Also, the braking system differs. While you might be used to hard braking your car, you won’t need this in an electric vehicle due to the inclusion of a regenerative braking system. A regenerative braking system stores the energy released from pedals to charge your car batteries. While doing so, it slows down the car and performs the purpose of light braking without you hitting the brakes. For instances where you have to stop instantaneously, conventional brakes are also present. However, you will hardly need them. Most people are concerned about the safety of the vehicle they use for road trips. After all, you wouldn’t want to get into an unwanted accident, would you? You can rest assured knowing that electric vehicles are much safer than traditional ones. Why? This is mainly because these automobiles have a low centre of gravity. Unlike other cars where the car batteries and motor are situated in the front, electric cars have them at the bottom. Since the centre of gravity of electric vehicles is low, they are less likely to roll over. Let’s say disaster does strike (let’s hope it never does! ); electric cars are still the safer option. Why do we assume that? Well, after a car crash, a pertinent danger faced is via the possibility of the engine exploding. This is fuelled by the presence of gas and the fact that engine is the first to get impacted during a head-on collision. However, an electric vehicle neither has any fuel in it (even if it does, the quantity is low) and nor is the engine present in the front. Therefore, even in worst case scenarios, you are better off with your electric car. 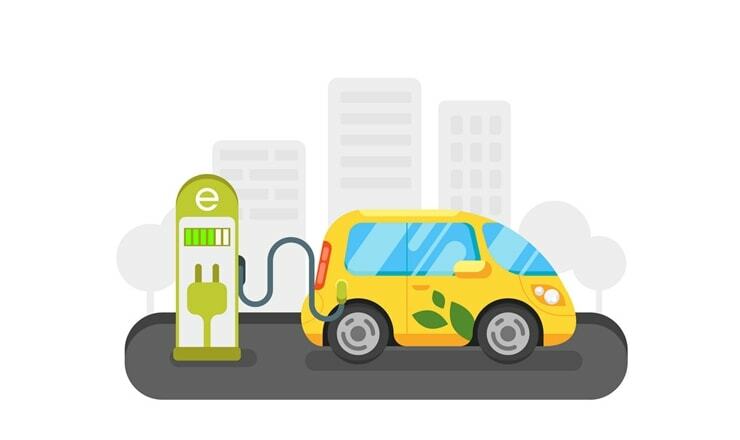 Now that you know important things about electric car usage, here is how you can ensure that your road trip goes well with your electric vehicle. Be well aware of all the different charging stations and make sure your route has sufficient stations to charge your electric car. Don’t push your luck when it comes to distance. An electric car can go so far without charge. If your road trip doesn’t have charging stations in the route, make sure it is at least within the mileage range of your car. If it is not, we will advise you to opt for a conventional option instead. If you want to extend the battery life of your car and reduce the need for charging stations, make sure you don’t speed up a lot. This is because the higher the speed the vehicle operates in, the faster its battery will drain. Stopping at charging stations, again and again, can get annoying. Remember the 80 percent charge rule to ensure that the recharging doesn’t take long. An electric car charges faster to 80 percent and then takes time when absorbing energy for the remaining capacity. It is better to charge it to 80%. You will end up saving time this way. Know your electric vehicle well before you take it on a road trip. Have fun!